The TRUE FORCE Lat/Row is another eye-catching piece of equipment that is a must-have for any facility. 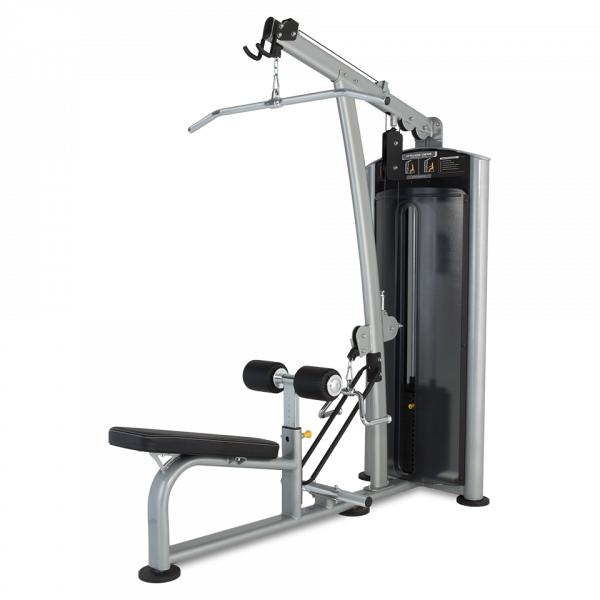 Combining both lat pulldown and seated row exercises allows users to further their workout without changing machines, and efficiently utilizes your valuable real estate space by allowing more equipment to be placed in an area. The sleek appearance of this machine along with supreme quality construction will bring sophistication and class to your facility that will leave users coming back for more. 10 position thigh pad easily adjusts to accommodate a wide range of users. Angled seat encourages proper anatomical alignment during both pulldown and row exercises and creates an unobstructed path for the row handle.